Pullback in state funding is not the only problem in U.S. higher-ed. Consider Josh Freedman’s “Why American Colleges Are Becoming a Force for Inequality” (Atlantic, May 16). As Freedman’s analysis suggests, a complex set of interlocking forces have made higher-ed’s costs rise steadily (independent of state funding issues), and their contribution to social mobility/equality to fall or reverse. Meanwhile, we have fast-evolving new technosocial capabilities to study, collaborate, and organize differently, which are helping to transform many other areas of life such as work practices, and housing, while education has largely continued in traditional methods and rising costs. Mathieu Plourde, “MOOC, every letter is negotiable” CC-BY 2013. The notion that traditional classroom teaching is the best approach for everyone is clearly not the case, as the previous comments on this article demonstrate. Large portions of people don’t learn well in, or can’t even get access to, such learning settings. I also believe we’re just embarking on an era of innovation in new technology-assisted learning practices, from personalized software/media tools to virtual/online collaboration spaces to augmentative technologies transforming in-person interactions. the logic of the MOOC is a function of shallow thinking, of arguments that go no deeper than a David Brooks or Thomas Friedman column. I’m not so inclined to think the Stanford, Harvard, & MIT professors leading the big 3 MOOC platforms are stupid or shallow, nor the many professors like Al Filreis who embrace MOOCs as a way to teach much larger and more diverse student bodies. Many people, professors and administrators and students, engage in MOOCs to try it out and think about where it could go. 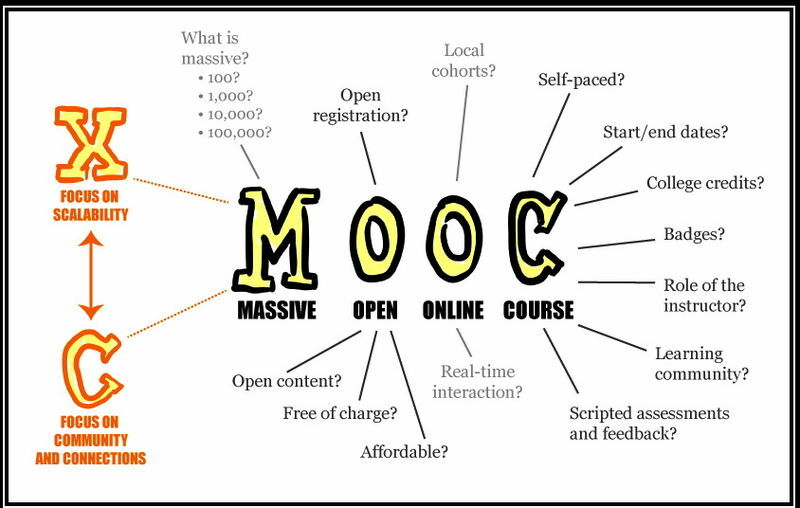 “MOOCs are cheap because you record them once and then reuse them. They don’t grow and evolve.” “MOOCs are structurally devoted to pinning knowledge down like a butterfly, putting it on file.” “The MOOCs…aim to do exactly the same thing that traditional courses have done—transfer course content from expert to student.” “MOOC’s are literally built to cater to the attention span of a distracted and multi-tasking teenager, who pays attention in cycles of 10-15 minutes. I’m afraid these come off as dismissals, not observations, that don’t take MOOCs or their potential or advocates very seriously. Unfortunately, the result may be that your article is not so likely to be taken seriously by anyone who doesn’t already generally agree. I’d say, why blog just to the choir, and a bit of the fringe? Most of the potential impact is among the people starting from other positions. 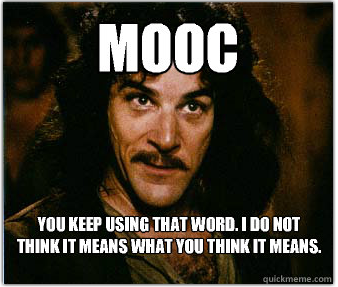 I’d say MOOCs massively threaten the status quo of the present higher-ed system. They challenge prevailing cost structures, prices, and accreditation practices. true, but unsurprising and, I think, legitimate. We have only begun to explore the possible practices and technologies which might be used in this area: for example, new types of online forums and collaboration environments; arrangements for local events, peer-to-peer groups, supervised test-taking, etc; individualized instructional methods; means of authentication and fraud prevention. Anyway, should living in the future be so questionable? It’s looking at potential and how to evolve. By contrast, extolling the traditional classroom as inherently superior, or hoping for a return to the massive public investment level of the 1960s, seems a bit like living in the past. I too would like to redirect the state budget towards education, but I also want the higher-ed system to be cost-effective and innovation-embracing. While we can and should be skeptical about movements like MOOCs, I think we should also try to look through the hype for the possibility of major change.